The company Ferro-Tech is a part of the Tomorrow's Technologies group of companies and it specialises in railroad building and maintenence technologies. This machine is an Austrian built Plasser & Theurer 108-32 rail ballast tamper. Picture at Luxembourg central station 17.12.2017 by Ilkka Siissalo. 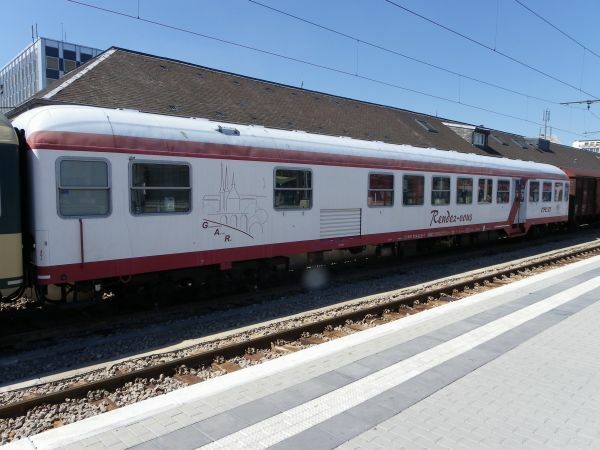 This is an old regional train coach, similar to the German n-Wagen, also known as Silberling. 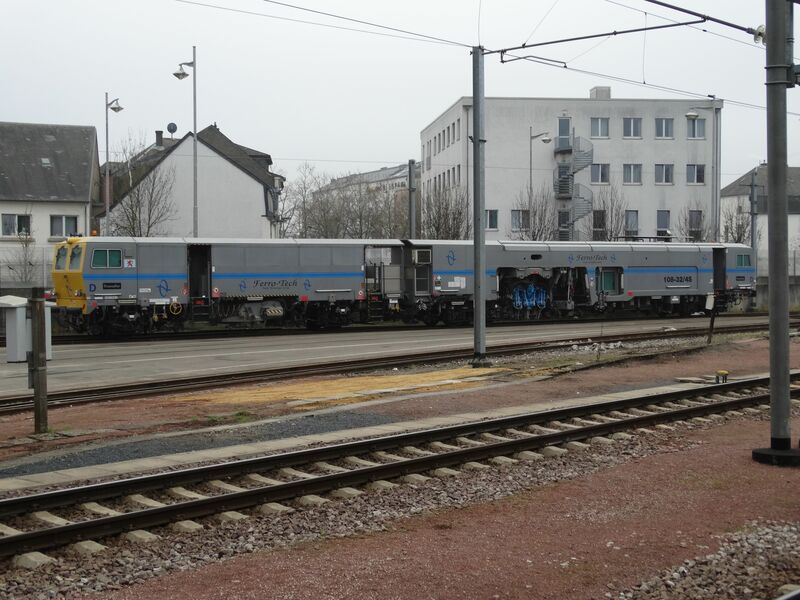 They were the backbone of Luxembourg's regional train services in 1970s and 1980s, typically pulled by old French made electric locomotives. 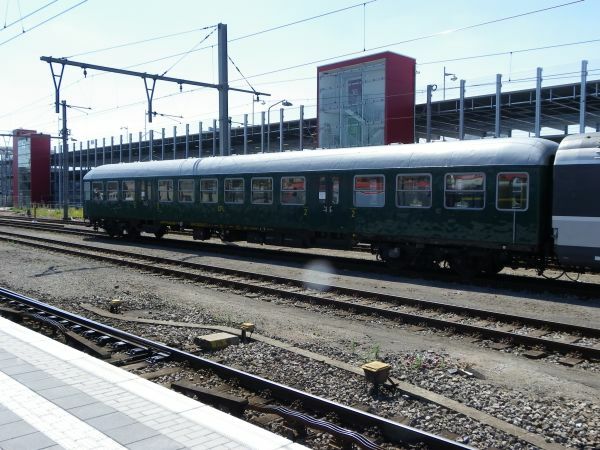 This one coach has been refitted as a cafeteria wagon, but it is hardly ever in use. Picture from the Luxembourg main station 17.12.2016 by Ilkka Siissalo. 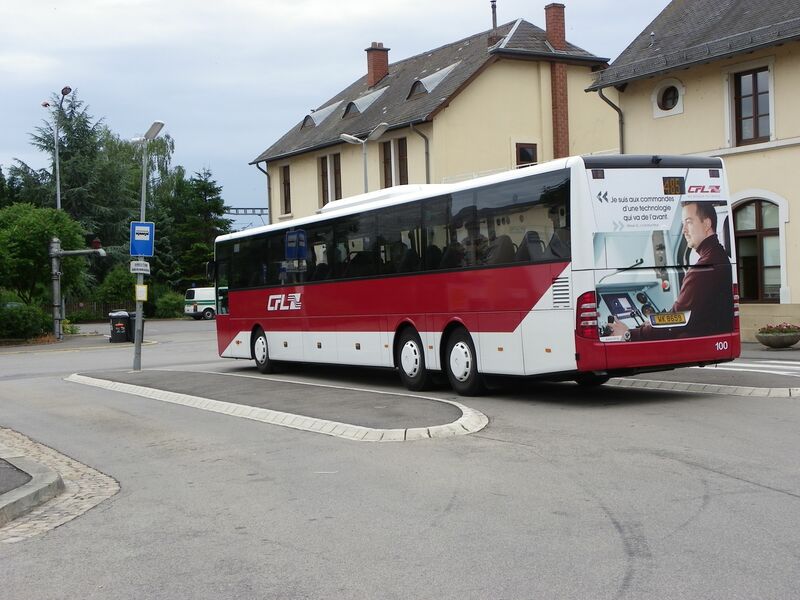 This is the same "Rendez-vous" coach as above seen in the year 2010. The texts by the sides tell that at that time this was used as a clubhouse of an association called friends of the rails. Picture at Luxembourg main station 19.7.2010 by Ilkka Siissalo. CFL has also its own buses for train substitution services and addtional feeder lines. Here is CFL's bus no. 100 at Wasserbillig station 12.7.2010. Picture by Ilkka Siissalo. Earlier there were regular international EuroCity trains between Luxembourg and Basel of Switzerland. These trains had coaches from CFL but also from SNCF of France and SBB of Switzerland, often similar, but with different paintings. 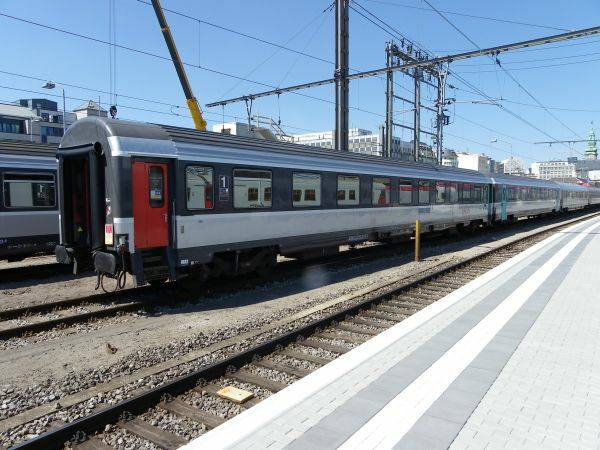 This is one of the so called EuroFima coaches used in such trains. Currently these EC trains have been replaced by French TGV bullet trains. Picture from the Luxembourg main station 19.7.2010 by Ilkka Siissalo. This is how the typical regional train coaches of CFL used to look like in the 1960s and 1970s. 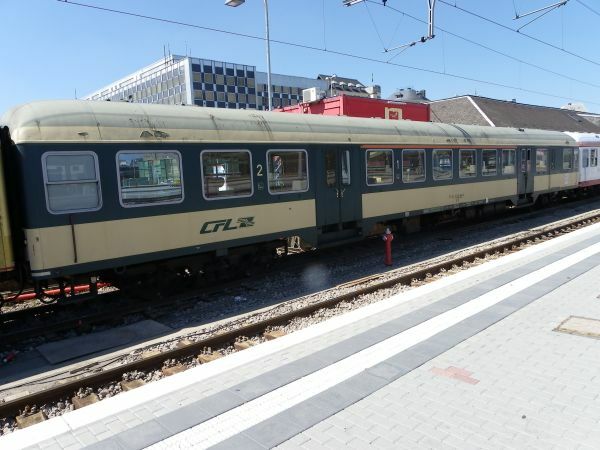 These coaches are similar to the n-Wagen or Silberling coaches of Germany. This is the original painting. Picture from the Luxembourg main station 19.7.2010 by Ilkka Siissalo. 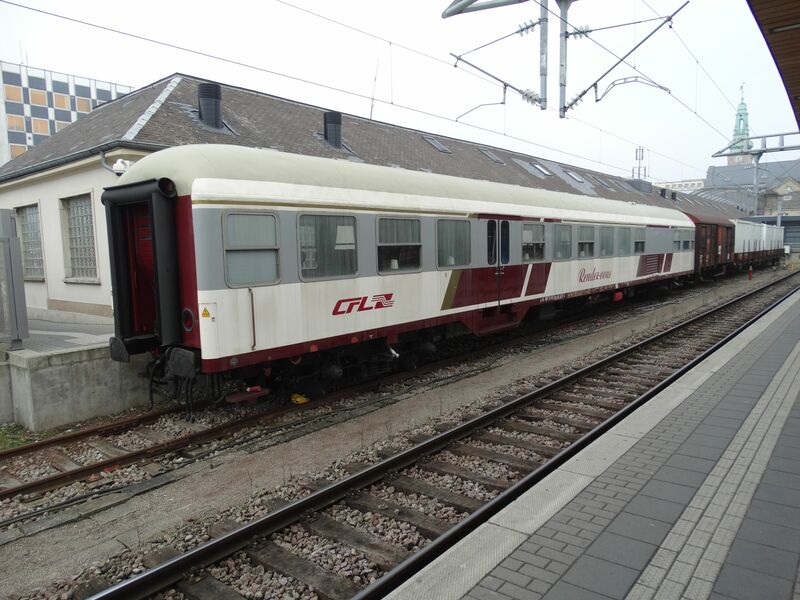 ...and this is how the same coaches used to look like a bit later. Picture from the Luxembourg main station 19.7.2010 by Ilkka Siissalo.